La mia prima matassa gallese. Grazie Judy! 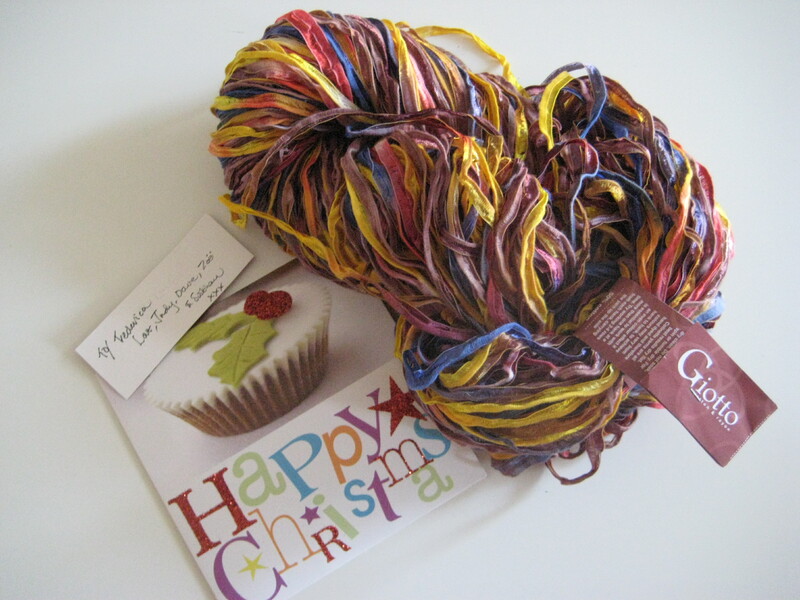 – My first Welsh skein. Thank you Judy! Per la serie il postino suona sempre due volte! (ieri la prima) oggi un altro stupendo, graditissimo pacchetto, questa volta dal Galles dalla mia amica Judy, che conoscendo la mia passione per la maglia mi ha inviato questa bellissima matassa di filato Made in Wales, Giotto della Colinette Yarns nel colore Autumn Leaves. As the postman always rings twice (yesterday the first time) today with great excitement I got another parcel, this time from my friend Judy who lives in Wales. As we knows very well my passion for knitting she sent me a lovely skein of yarn Made in Wales, it is Giotto by Colinette Yarns in the colour shade Autummn Leaves! Thank you very much Judy!